I was delighted to be invited to the Orkney Islands by the Orkney Crafts Association this year. A wonderful gathering of interesting and interested journalists, buyers and organisations all supporting contemporary craftsmanship. The Orkney Islands tell a compelling and continuing story of human creativity and innovation. Important within the Scottish design landscape today, as it has been historically, Orkney showcases a wealth of craftsmanship. Stone Age | The Neolithic site of Skara Brae. Nestled in the ground, a settlement occupied some 5,000 years ago. Neolithic Interior | Box beds, mantlepieces and indoor pools for keeping fresh catch, an interior designed around human behaviour and necessity. Contemporary designers and manufacturers combine traditional materials and techniques with a fresh approach offering pieces full of originality, ingenuity and quality. From masterful Orkney chairs to vibrant textiles, elemental ceramics to distinguished whiskies, Orkney provides a unique opportunity to source and commission work across a variety of disciplines. 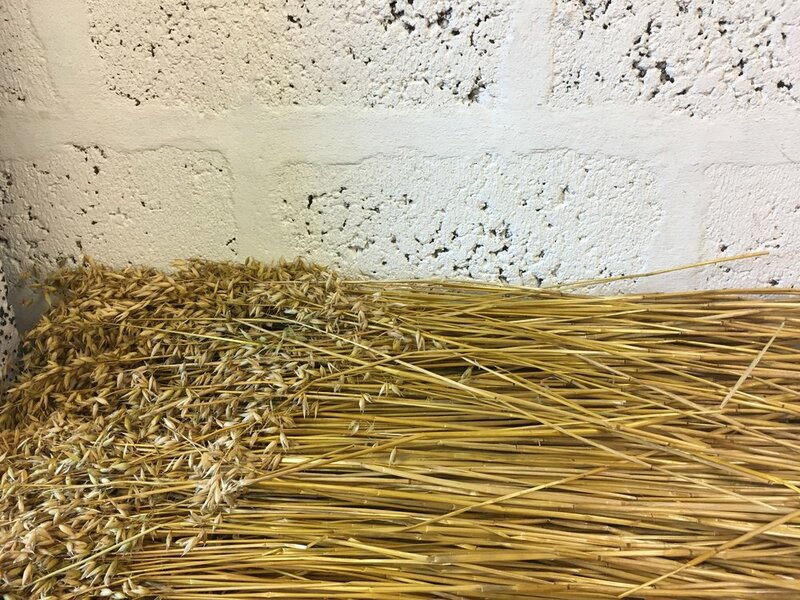 A Good Year | Straw from the island is harvested and cleaned before transforming this material into iconic Orkney chairs. The outer husk of the straw is removed to reveal the glossy and golden interior of the plant.